For the last few months, I've been really unhappy with my face. It has looked really dull and drab, not to mention I noticed that my face had gotten pretty dark on my cheeks and chin. I started to use sunscreen lotion as a way to prevent any further damage (though I'm not sure if the sun had anything to do with the darkening in the first place). I began drinking more water, but I knew I would need help if I wanted to see immediate results. 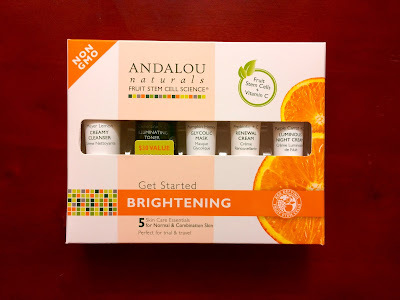 Having known about Andalou Naturals before and using their hair products, I already knew they had a face care line that could help. What I like Andalou Naturals, as a whole, is that they use natural, organic products. And when it comes to facial creams and cleansers that have the ability to repair and lighten dark marks, I look for products with no bleaching agents (which is why I stay clear of Ambi). The Get Started Brightening Kit was pretty hard to find at Whole Foods and Mom's Organics, but can easily be found on Amazon. I've been using it for one week now, and I decided to detail my results here. Myer Lemon Creamy Cleanser: This cleanser took some getting used to. For one, it doesn't get sudsy; I know I should be used to that since I cowash my hair, but it was unexpected for a face wash. It also isn't strong enough to remove makeup. So remember to remove that first. But all in all, it smells really good and my face seems to be benefiting from it. 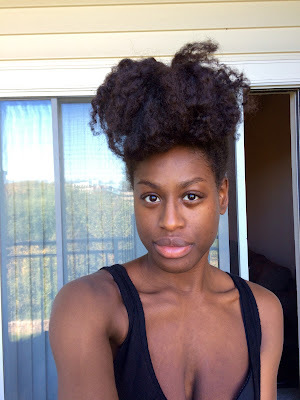 Pumpkin Honey Glycolic Mask: I've used this mask before, and let me just say that I LOVE it! It really does help to fade dark marks and gives my face a really glowy look. Not to mention, it makes my face really smooth and makes my pores look smaller. And if you don't know already, I love pumpkin, so that makes it even better! Clementine + C Illuminating Toner: I actually really like this toner. It had a very refreshing, citrusy smell. Plus, it did actually remove some dirt left behind on my face. Probiotic + C Renewal Cream & Purple Carrot + C Luminous Night Cream: Now, these creams are what really intrigued me into buying this, and honestly, they worked exactly like I expected them to. They really helped to smooth out my face and blur my pores. They're also, surprisingly, not drying. I thought that would be my number one problem that I would encounter, but they're very gentle. I've noticed that they also help to fade dark marks and tone my discoloration. As you can see, my face looks a lot brighter. The dark marks are fading, and slowly the discoloration is fading as well. All in all, I am very happy with the results. I have noticed that my dark spots have virtually disappeared and slowly the darker color around my chin and cheeks is getting lighter. 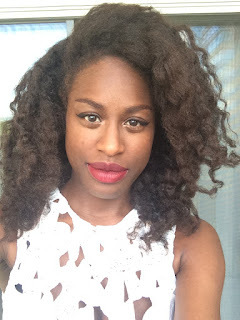 My face has also gotten brighter and I have found that I don't need to use my cacao foundation. I am hoping that after a month or two, my face will be much more even toned. 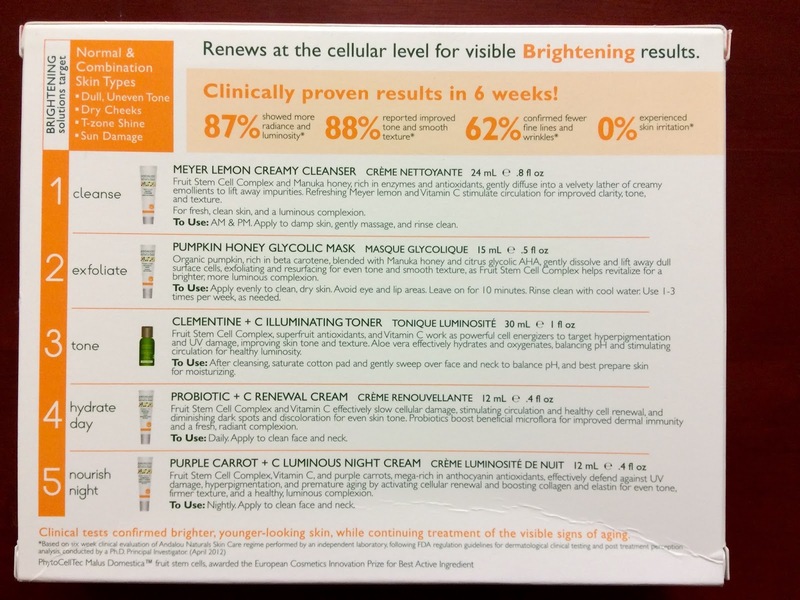 If you have difficulty healing acne scars and dark marks, and/or your face is discolored or blotchy, I would definitely recommend the Brightening Kit. It really does help! *If you plan to use this kit, or any product that lightens dark marks, make sure that you use sunscreen to prevent dark marks and discoloration from coming back.